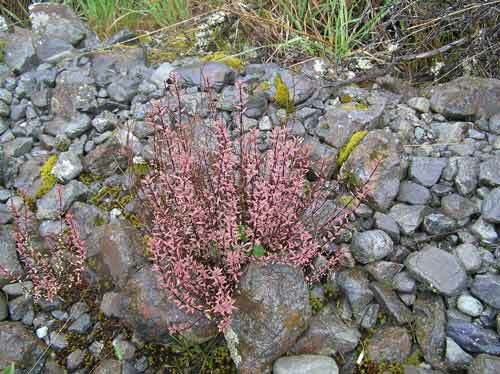 Willowherbs like this black-stemmed plant (Epilobium melanocaulon) are found in many temperate regions of the world. They produce light seeds that are easily spread by the wind. The 15 alpine species of willowherb found in New Zealand are thought to have evolved from a common ancestor that was blown to the country some time in the last few million years.